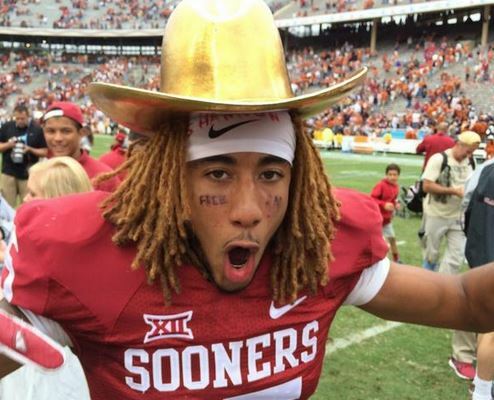 The Sooners prevailed in today’s Red River Rivalry game against Texas, 31-26. 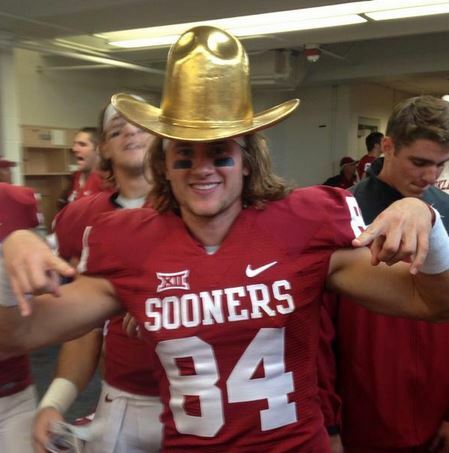 And to the victor goes the spoils – in this case, the “Golden Hat” trophy that is awarded on the field of play following the game. 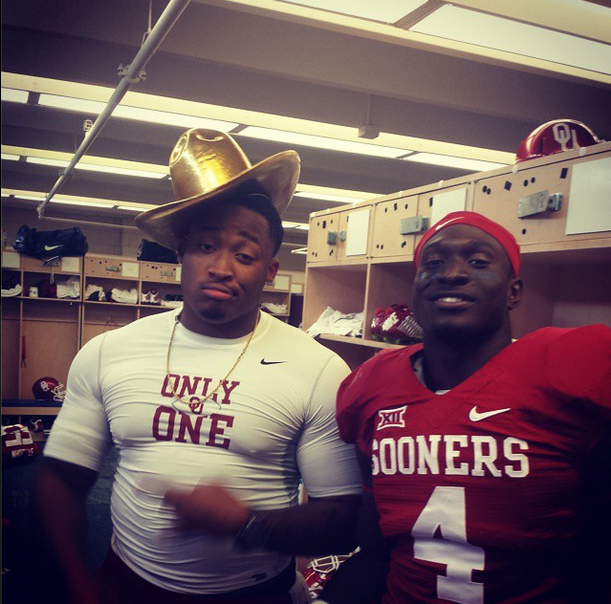 Per tradition, a number of Sooners – namely Zach Sanchez and Charles Walker – were seen wearing it in celebration. 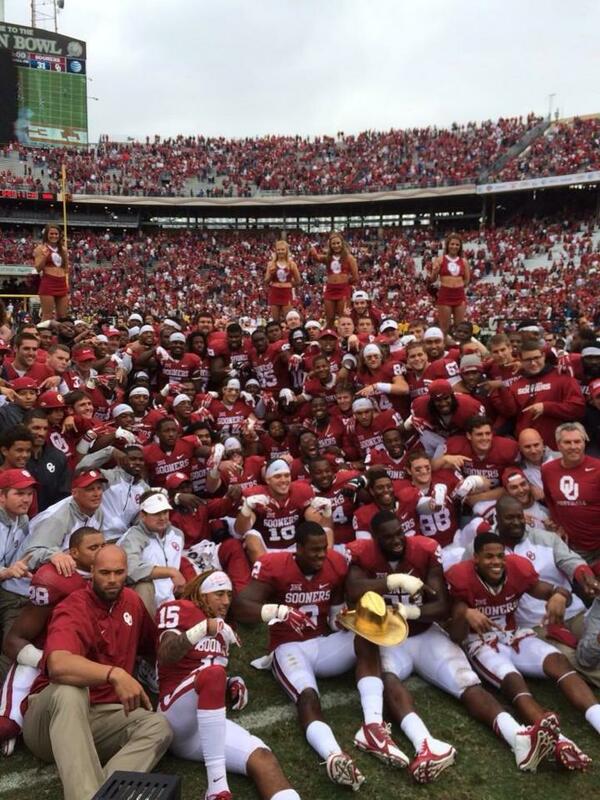 Oklahoma has won four of the last five contests.